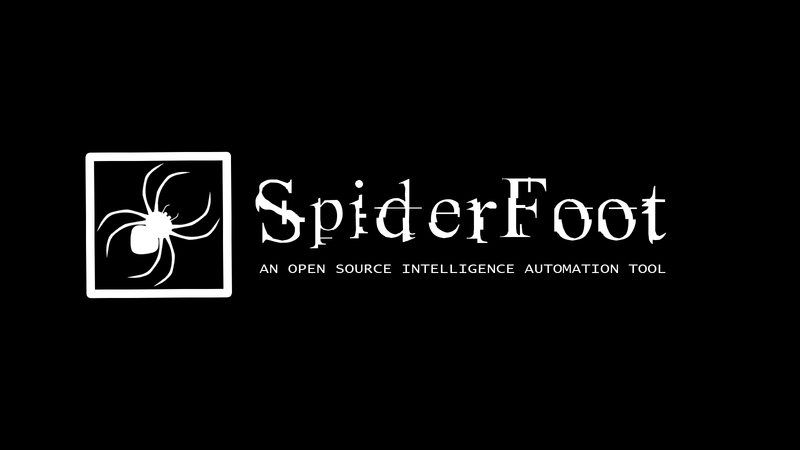 SpiderFoot is an open source tool that is designed to automate the process of gathering intelligence about a given target, which may be an IP address, domain name, hostname or network subnet. SpiderFoot can be used offensively, i.e. as part of a black-box penetration test to gather information about the target or defensively to identify what information your organisation is freely providing for attackers to use against you. If your operating system is Linux/BSD/Solaris, you need Python 2.7 installed, in addition to the lxml, netaddr, M2Crypto, CherryPy, bs4, requests and Mako modules. Other modules such as PyPDF2, SOCKS and more are included in the SpiderFoot package, so you don’t need to install them separately. If you are using Windows, no third party tools/libraries need to be installed, not even Python, because it is an executable! Utilises a shedload of data sources; over 50 so far and counting, including SHODAN, RIPE, Whois, PasteBin, Google, SANS and more. Designed for maximum data extraction; every piece of data is passed on to modules that may be interested, so that they can extract valuable information. No piece of discovered data is saved from analysis. Runs on Linux and Windows. And fully open-source so you can fork it on GitHub and do whatever you want with it. Web-based UI and CLI. Choose between a GUI that is easy to use and a powerful command-line interface. Take a look through the gallery for screenshots of the GUI. Highly configurable. Almost every module is configurable so you can define the level of intrusiveness and functionality. Modular. Each major piece of functionality is a module, written in Python. Feel free to write your own and submit them to be incorporated! SQLite back-end. All scan results are stored in a local SQLite database, so you can play with your data to your heart’s content. Simultaneous scans. Each footprint scan runs as its own thread, so you can perform footprinting of many different targets simultaneously.